Save time & money with our energy efficient, low maintenance thermal dehydration solutions! When managing organic waste streams such as manure, sludge, fruit and vegetable pumace, water is a major problem. The issue is that these products are typically 70-90% water in their initial state. That means that when you transport it via truck, trailer or even a conveyor you are transporting mostly water which is costly and inefficient. Therefore, to meet this challenge the first step in any processing of this waste is some sort of drying system. There are many drying systems which can be employed, however for handling volumes of 3-20 tons per hour the most common and simple to operate is the rotary drum dryer. 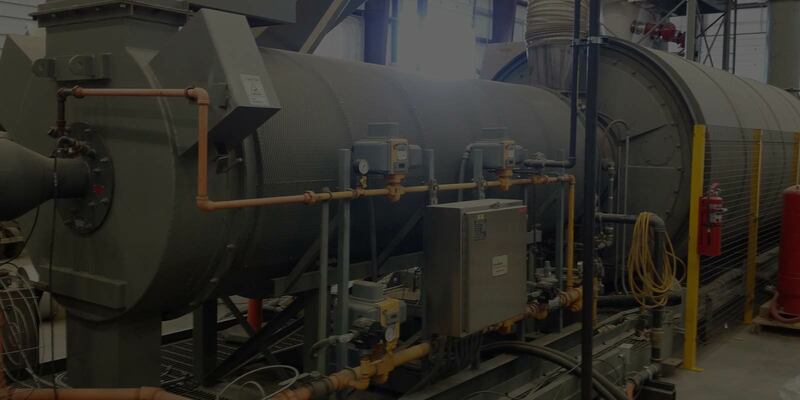 This system employs a heat source, usually a natural gas burner and furnace, and a large fan to pull the airstream, along with the product through the dryer. Once dried, the product exits the dryer and is pulled through a set of high-efficiency cyclones to separate the airstream and the product. 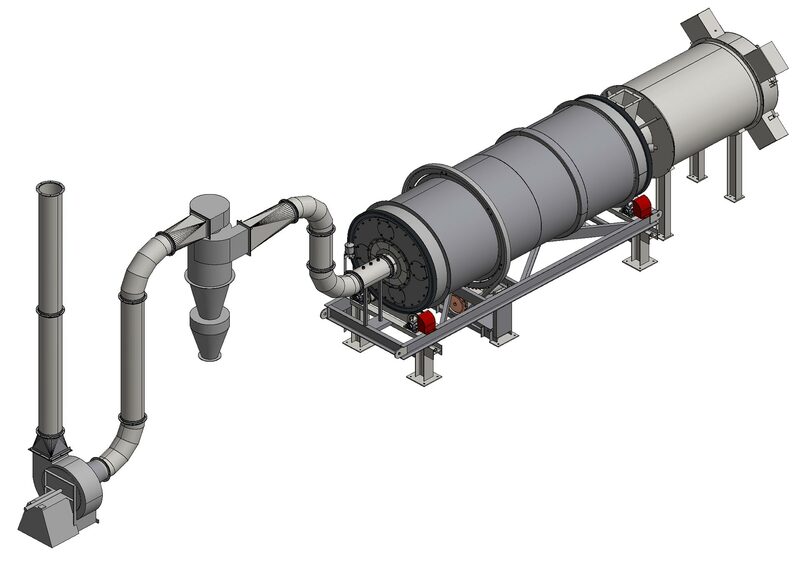 A rotary drum dryer system can dry products down to 1% moisture, although organics dried for livestock feed, pet food ingredients or food additives are typically dried down to 10%. Organics such as manure to be used for animal bedding is typically only dried down to 50%. Another important feature of a rotary drum dryer system is that it can be run completely lights out and hands off. This can save significant labor costs in that there is no “operator” requirement to sit at a terminal and watch blinking lights. The system can be programmed and operated remotely. Rotary Drum Dryer Systems have been the industry standard for drying organics since the 1940s. They are simple, easy to operate, have little maintenance costs and can dry very high volumes of material per hour greatly increasing your systems overall efficiency.